Places to stay: Accommodation is available within Cotherstone at the mid 18th century Fox and Hounds (TripAdvisor), while The Rose and Crown in nearby Romaldkirk dates from around the same time. Places to stay: The nearest period hotel is Horsley Hall in nearby Eastgate. 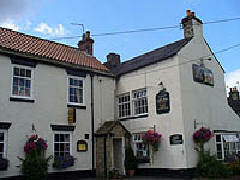 Dating from the 17th century, it offers seven rooms in all. More details are available at TripAdvisor. 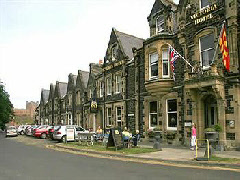 Places to stay: There are a number of period hotels and inns at Bamburgh, including the Grade-II listed Lord Crewe Hotel & Restaurant; The Mizen Head; the Victoria Hotel and Budle Hall. Details at TripAdvisor. Places to stay: A historic village deserves a historic old inn, and in The Lord Crewe Arms, Blanchland has one of the most notable anywhere in north east England. 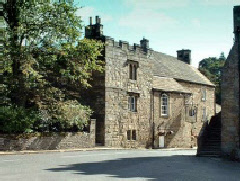 Places to stay: While we are unaware of any hotels or inns offering accommodation within Elsdon itself, the Otterburn Tower is just a short drive away and provides travellers to the area with the experience of being able to stay somewhere truly ancient (it dates, in part, from the 11th century). Places to stay: The closest heritage hotel to Norham is to be found in nearby Cornhill-on-Tweed – Tillmouth Park is a fine Victorian country house whose roots are much older. Also close by in Cornhill is the splendid Georgian Collingwood Arms. Though sometimes referred to as a small town, Warkworth’s comparatively modest population of circa 1,500 makes it eligible for inclusion here. Located on the River Coquet, this is effectively a fortified village whose ruined castle is one of the most historic in the country (once the property of Henry ‘Hotspur’ Percy, and mentioned in Shakespeare’s Henry IV). 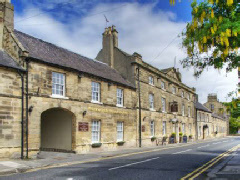 Places to stay: Warkworth House Hotel is an old coaching inn while Fairfield Guest House offers luxury bed & breakfast accommodation in a Victorian setting. See the Warkworth entry at LateRooms.com for details. The village also boasts a number of holiday cottages, including Stable Cottage which can accommodate up to three people and accepts dogs.